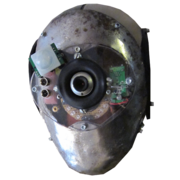 The current text to speech systems that are available tend to be very limiting, only allowing for a limited selection of voices, most which would better fit in a sci-fi thriller. 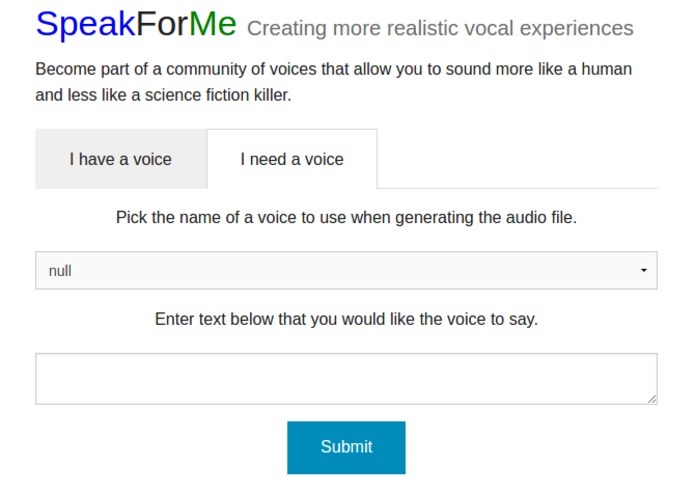 While text to speech programs have come a long way, they still are very limiting, making for an uncomfortable experience for people expecting a familiar voice when answering the phone. 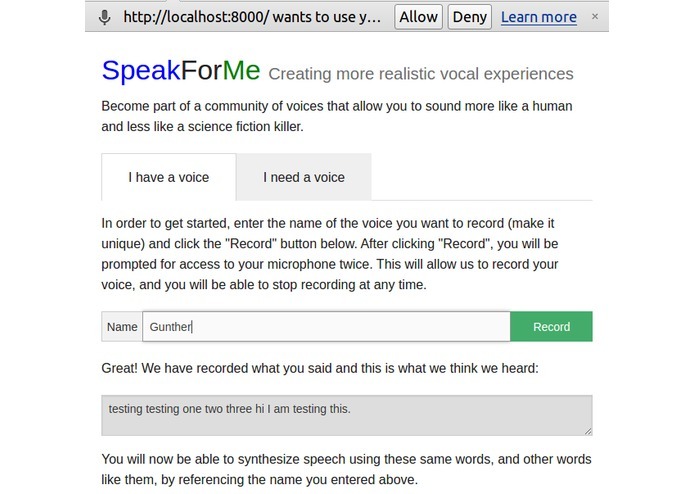 By extracting specific syllables out of words, we are trying to make a quick text to speech program that can use a person's own voice, instead of a robot's voice. 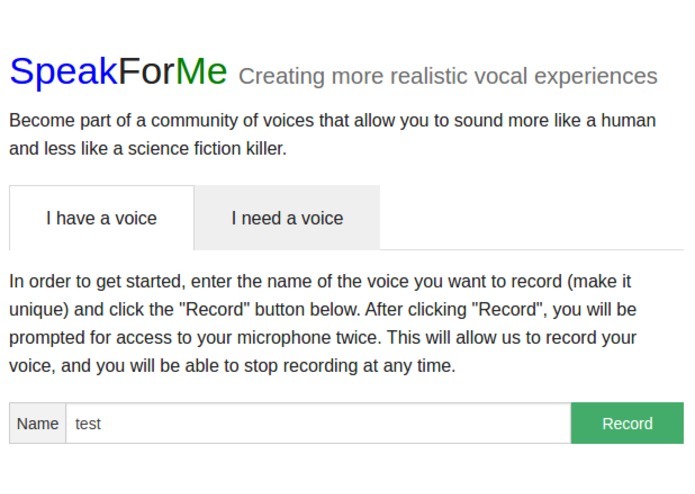 This has many applications, including restoring someone's actual voice (useful in cases where they have lost it completely) or making robocalls more friendly for everyone.